You might like the chalk story, too. Yes, it really happened. 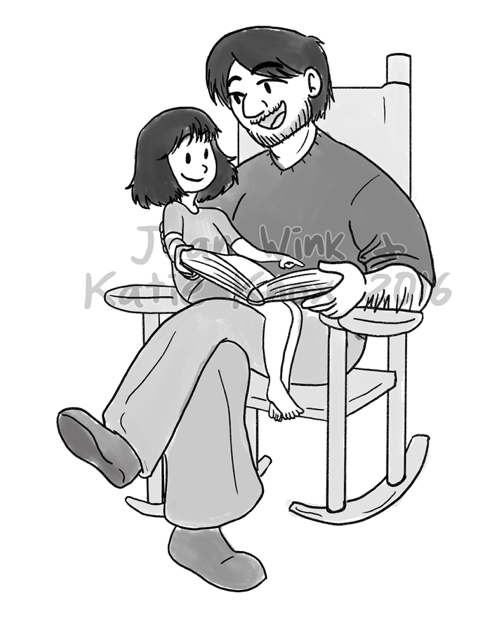 Again, I am sharing one illustration from this chapter, which I particularly like, as it is based on a photo of Katie Knox (the illustrator) and her Dad. I am excited to purchase a copy of your book when it comes out! I was a graduate student of yours. I took 11 years off to stay at home with my girls. My oldest is going to middle school and my youngest is going to 1st grade. I am going back to teaching, and will be teaching 1st grade in the fall. There have been lots of changes from when I first began teaching for sure!